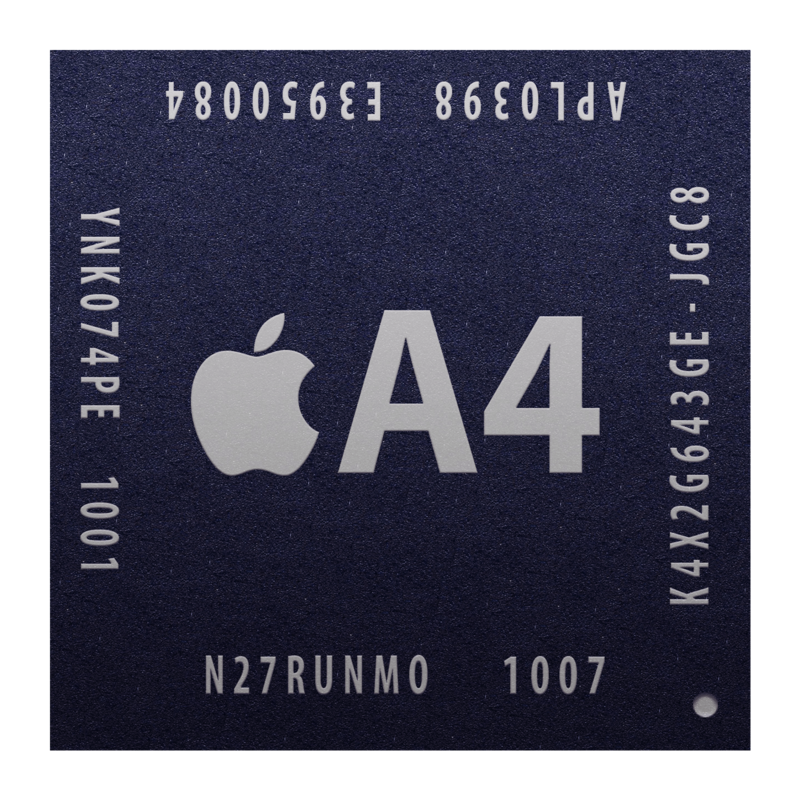 The Apple A4 system-on-a-chip (SoC) combined an ARM Cortex A8 CPU and PowerVR SGX GPU. It also marked Apple's first in-house chipset. Deputing with the 2010 iPad and later finding its way into the iPhone 4 it was replaced in 2011 by the Apple A5.